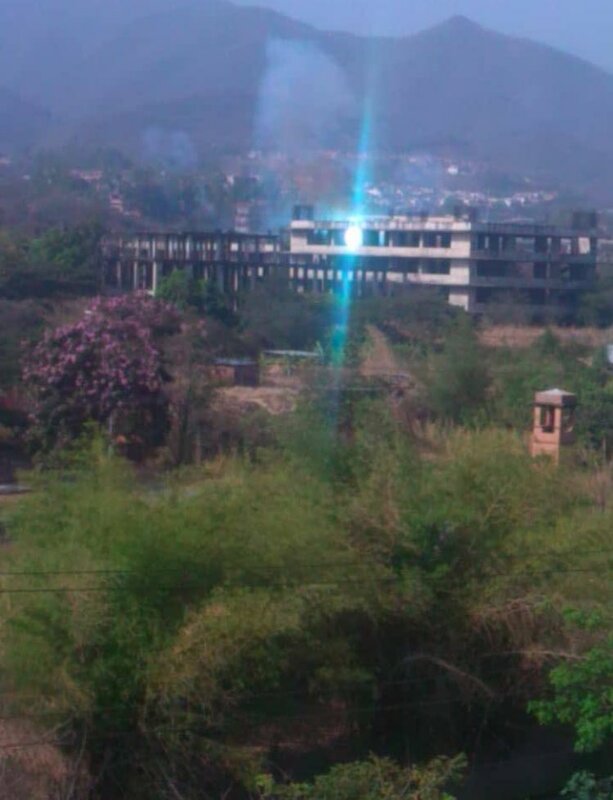 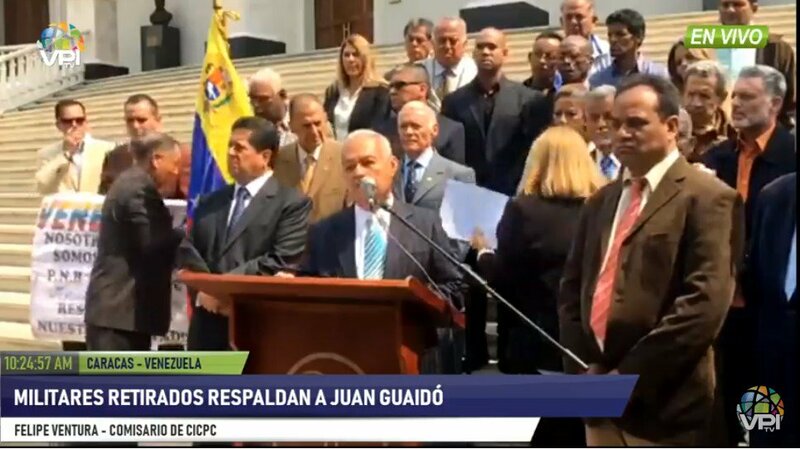 Iván Duque: "Colombia rejects any attempt to arrest Juan Guaidó"
The FAES took the José Félix Rivas neighborhood for "security operation" in the area. 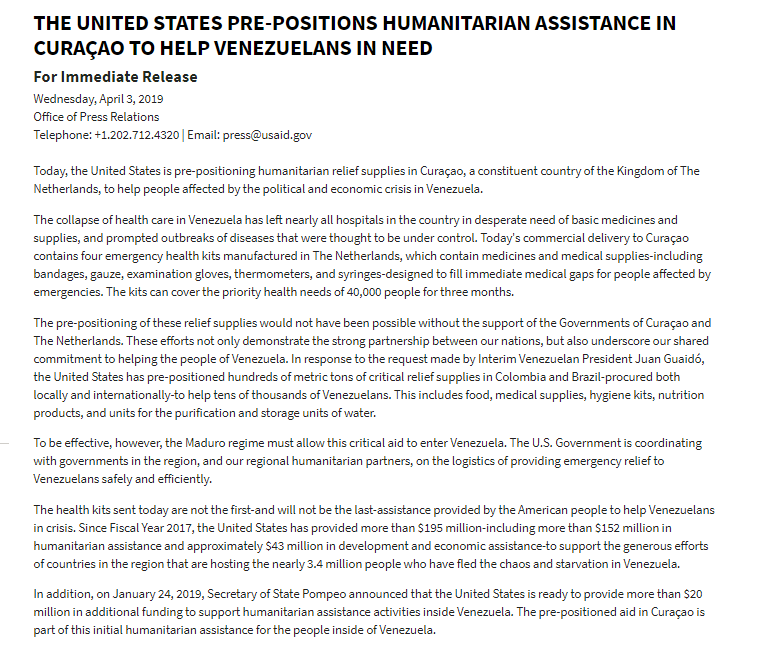 Juan Guaidó was scheduled to meet on site with local residents at 5:00 p.m.
Today @USAID is pre-positioning humanitarian relief supplies in Curaçao to help those impacted by the political and economic crisis in Venezuela. 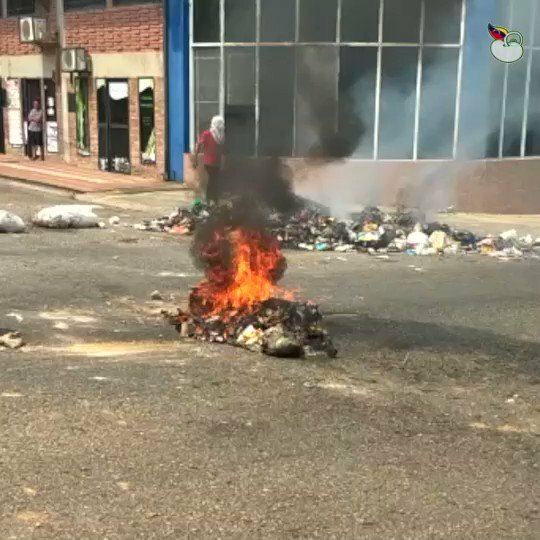 Today's delivery contains emergency health kits. 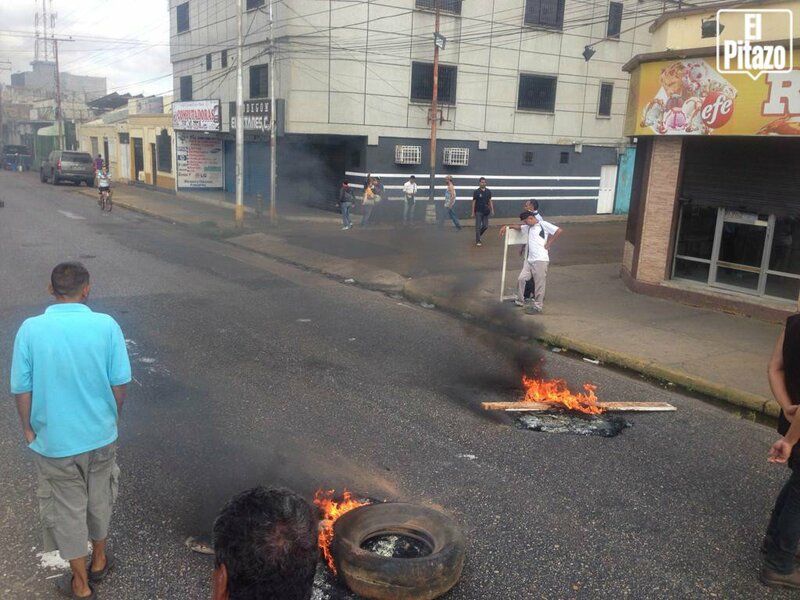 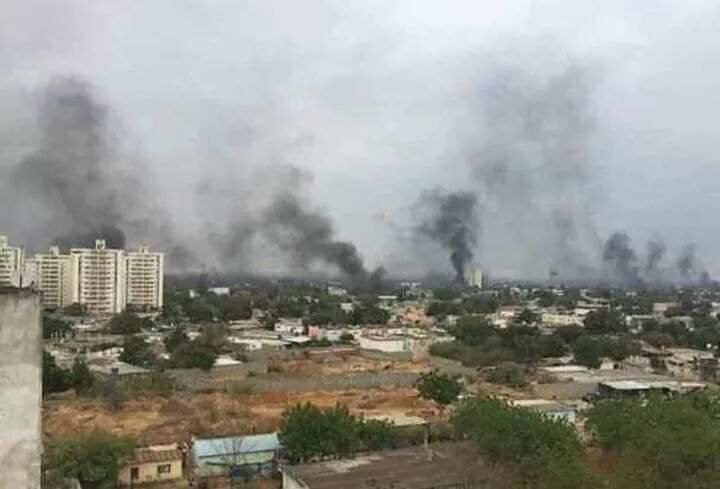 Officials of the National Guard dispersed a protest on Costanera Avenue in Barcelona in Anzoátegui state. 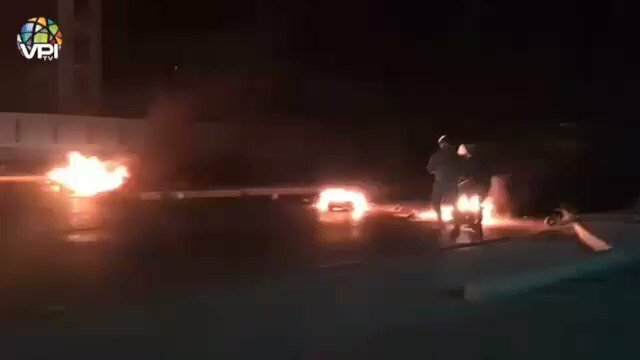 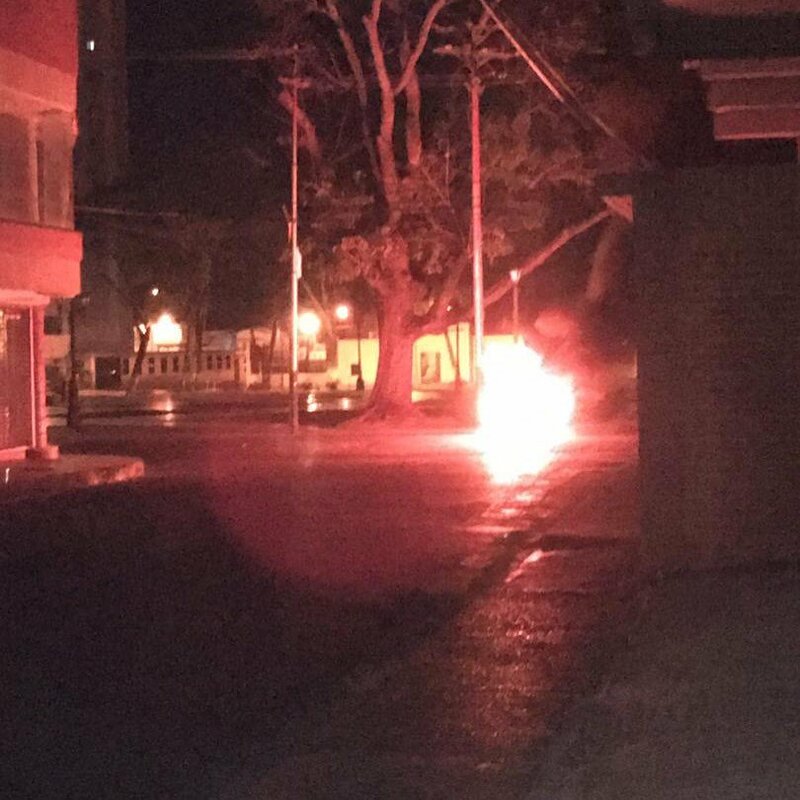 At this time 11:30 pm the protests continue in different sectors of Maturin 6 young people detained in Tipuro and 5 young people detained in the Guaritos. 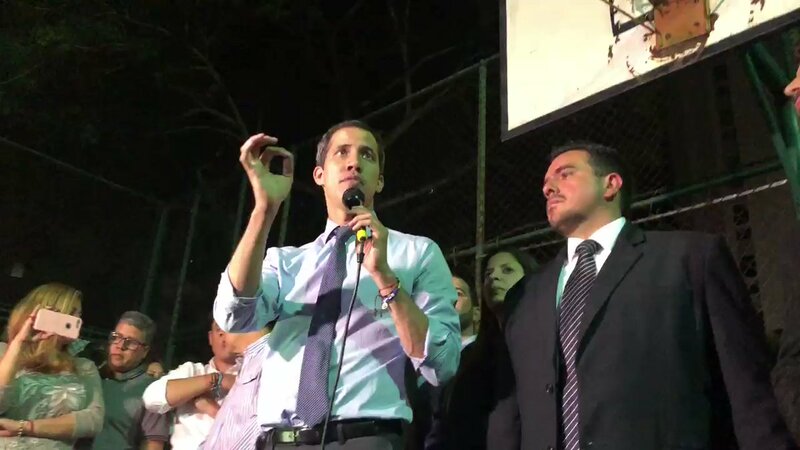 Following the decision of the National Constituent Assembly to lift his parliamentary immunity, Juan Guaidó urges Venezuelans to move forward and not to stop facing fear. 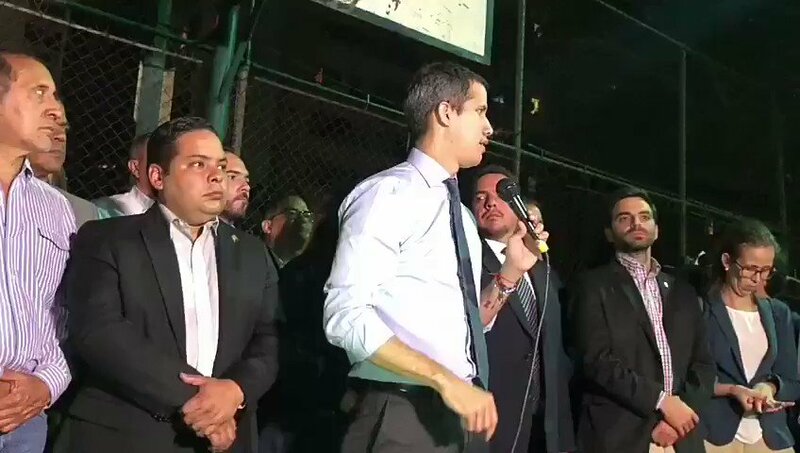 Said @jguaido "whatever happens we continue, no matter what happens we will be united and mobilized". 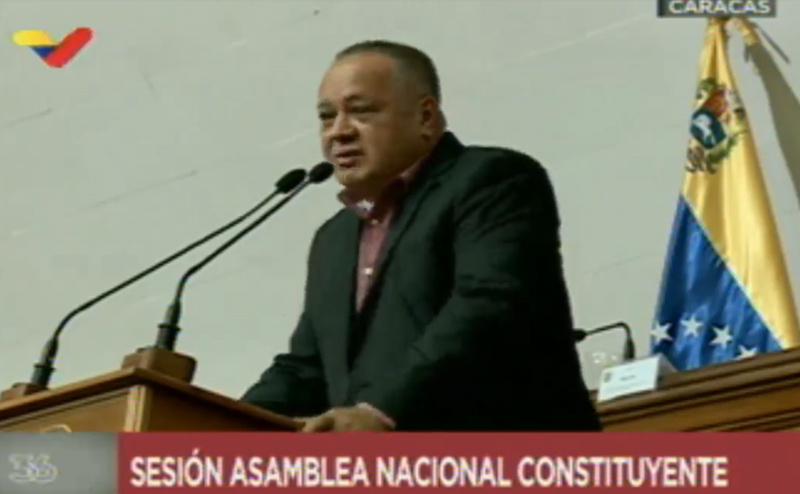 Diosdado Cabello: "Juan Guaidó is nothing, we are acting on the basis of the Constitution, sometimes the law is delayed, but with this case it will come, do not despair, little by little you will go far"
Diosdado: "That Assembly is leaving soon, it's leaving very soon. 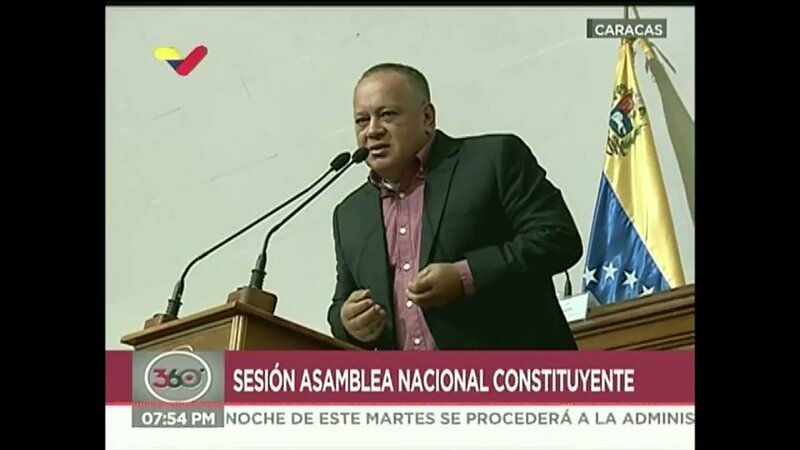 They say that this Assembly (ANC) does not exist, it does exist, we'll see if it does not make you the trial." 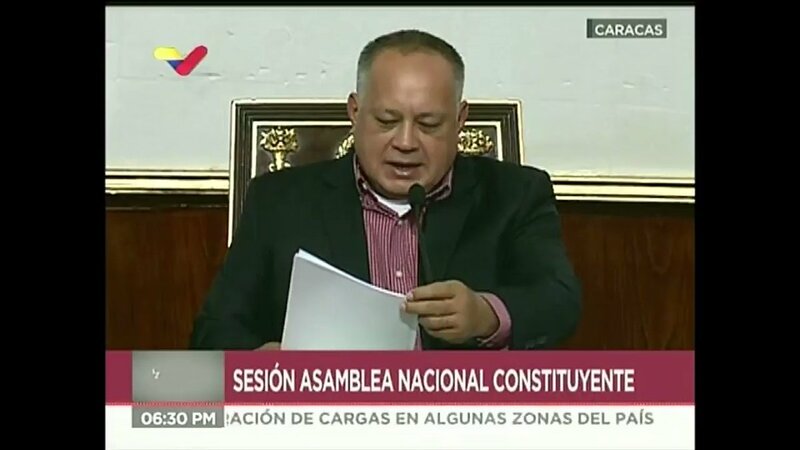 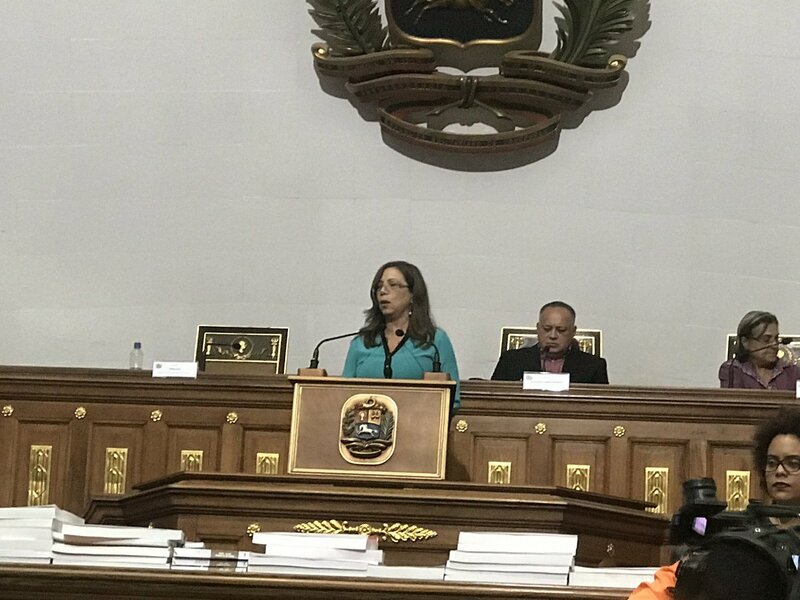 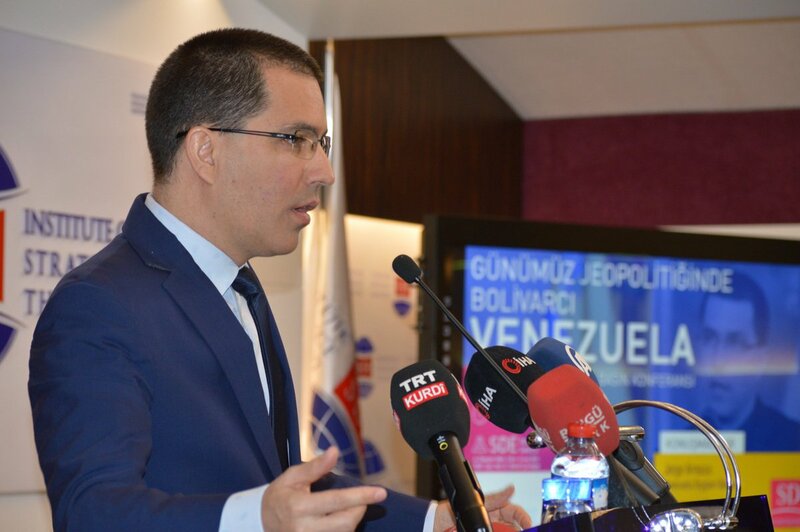 The National Assembly condemned the parliamentary immunity lifting process of the acting president Juan Guaidó. 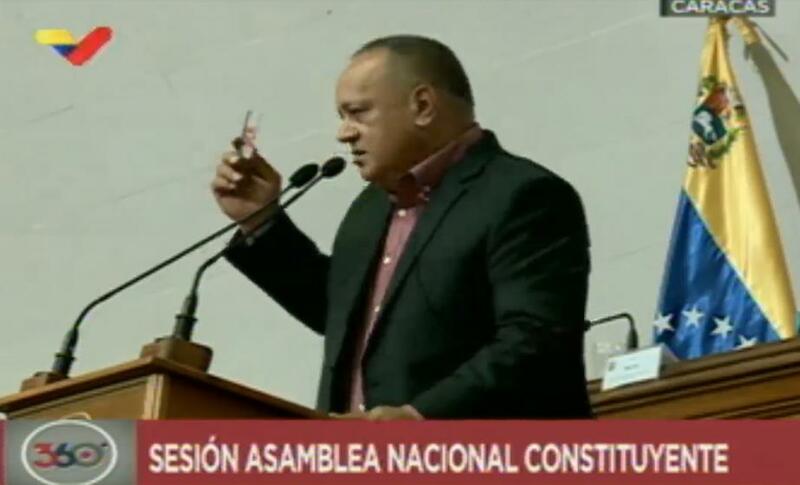 Cabello: "They are bad, they prevent people from having access to medicines, they are bad, they act like terrorists, they do something and the facts are attributed from the US, nobody takes responsibility"
President of the ANC @dcabellor: In the opposition nobody assumes responsibility for anything. 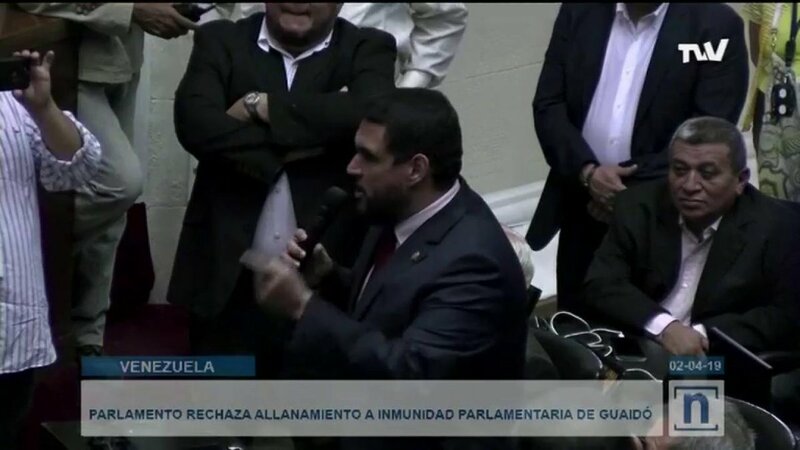 Today the opposition parties that are not part of the Guaidó group are happy because we are raiding their parliamentary immunity because they are intriguing among themselves. 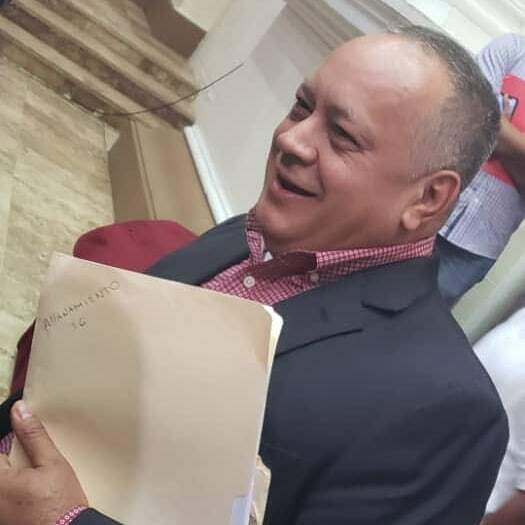 Diosdado Cabello after reading sentence of the Supreme Court of Maduro against the Acting President Guaidó: "We must give continuity to the request of the Full Chamber of the TSJ, so that there is justice, which will be a guarantee of peace in our country"
Pepsi-Cola Venezuela (Empresas Polar) reported on Tuesday that its branch in the town of Cabimas, Zulia state was looted on Monday afternoon and recorded losses of more than $ 700,000. 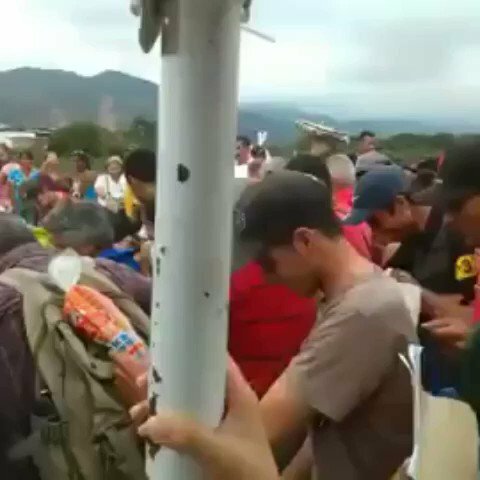 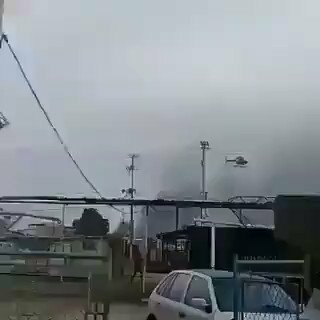 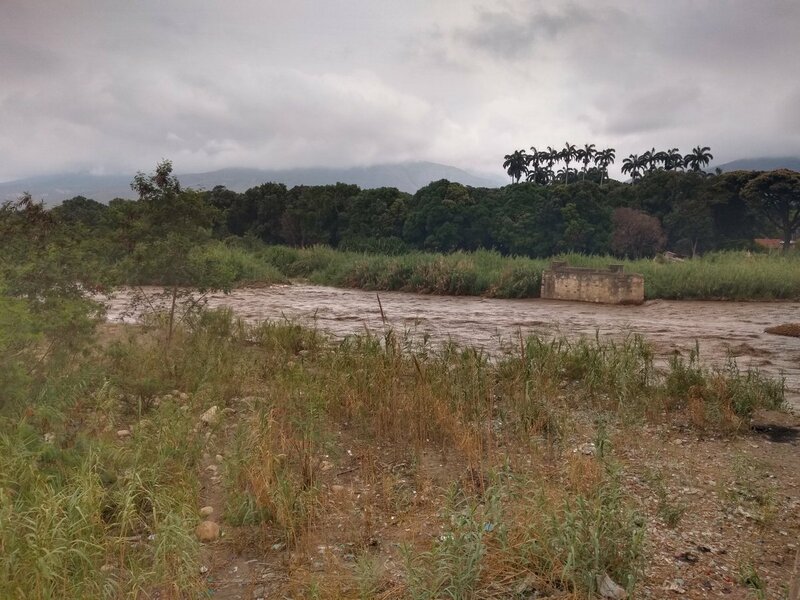 Venezuelans broke blockade of the GNB to enter Venezuela with food after flood of the Táchira River. 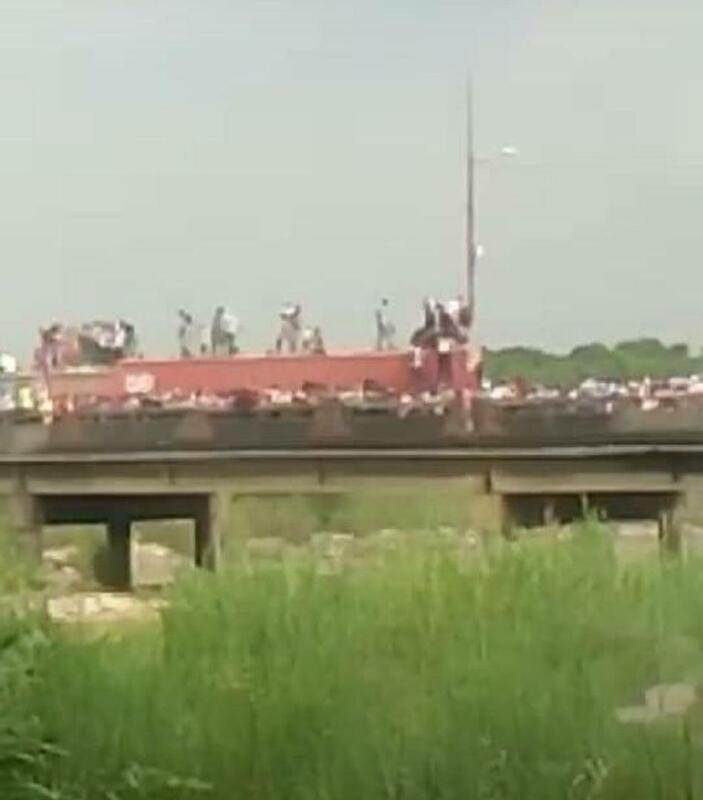 Photo of Simón Bolívar international bridge. 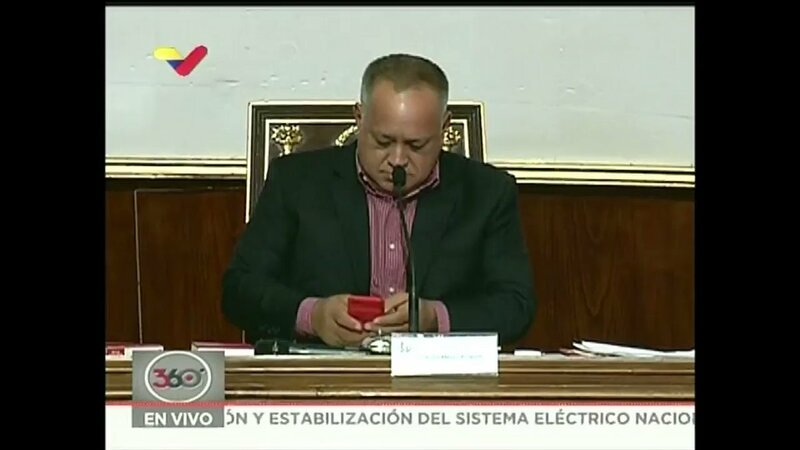 10:45 AM Colombia time. 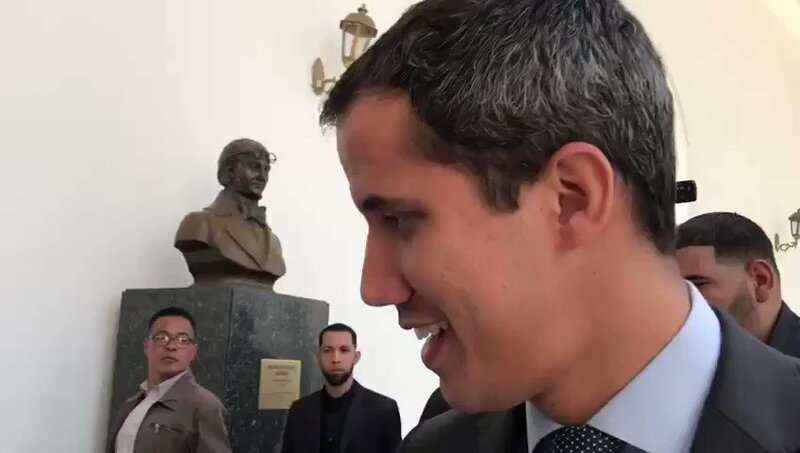 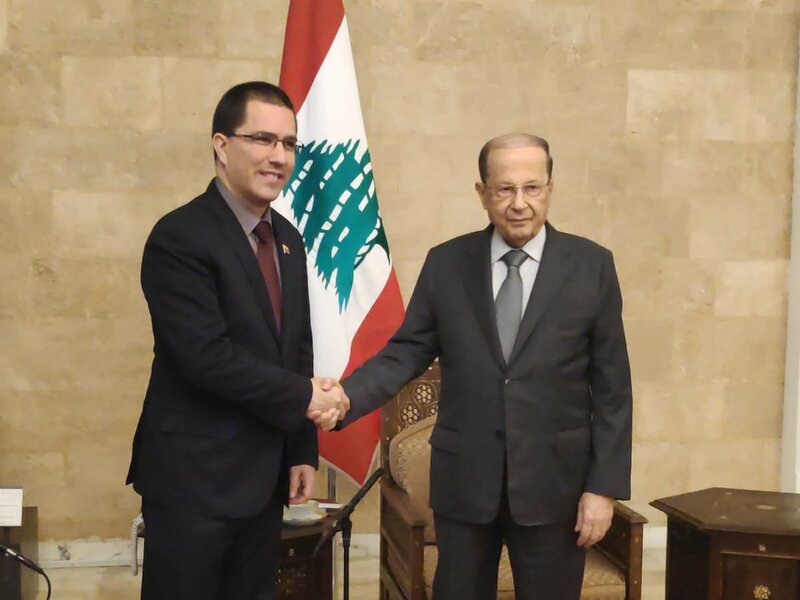 Retired military support the Acting President @jguaido. 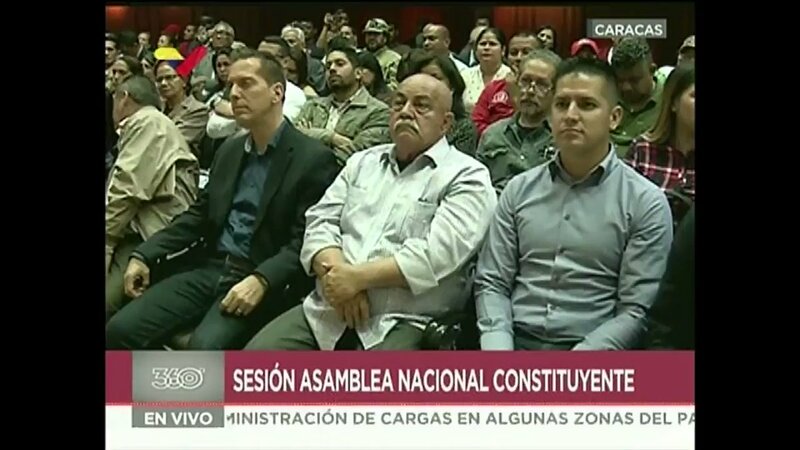 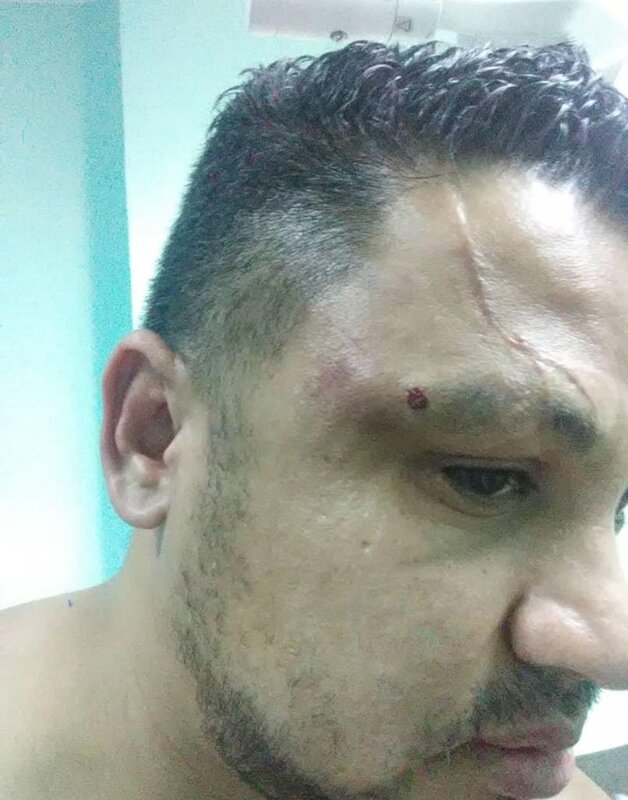 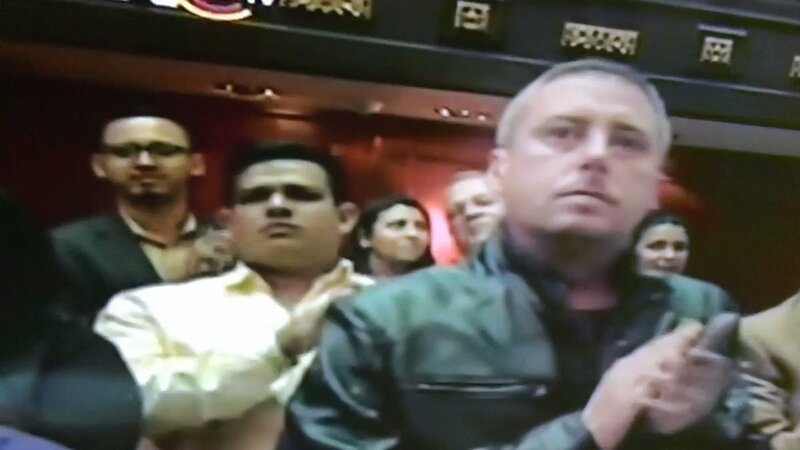 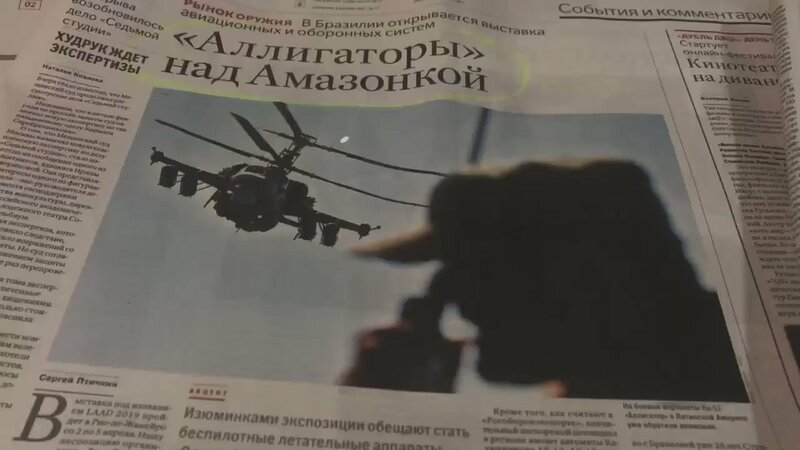 Felipe Ventura, Commissioner of Cicpc: "The time is now, or never, we can not expect others to do it for us"
The journalist Amanda Umek, who broadcast the video of Chavista Roberto Messuti in Morrocoy has been missing for more than 24 hours. 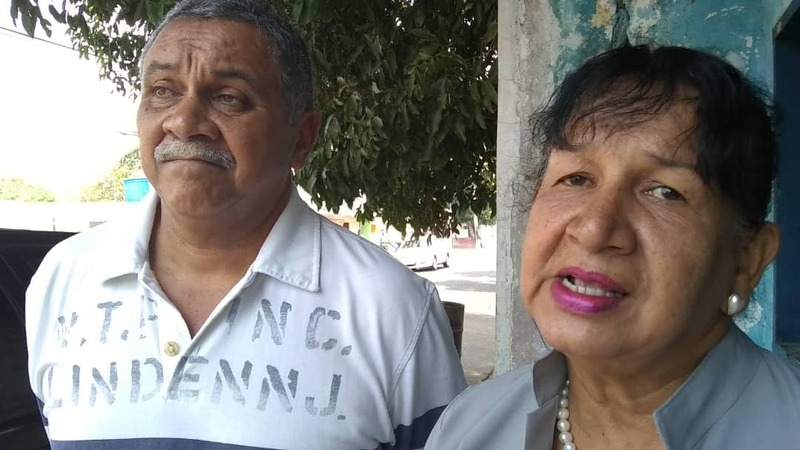 Her family can not locate. 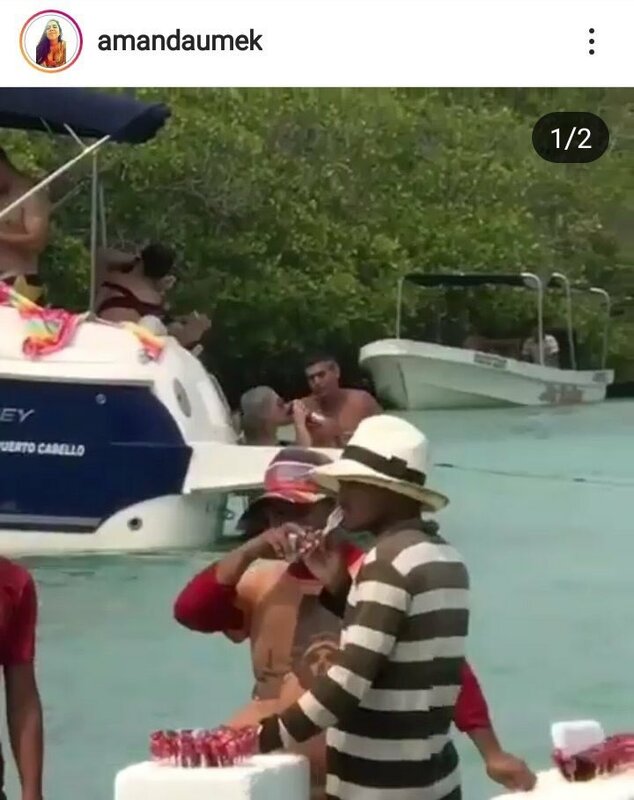 The young woman had received threats in the last hours.